(Reuters) - A U.S. professional group that certifies obstetricians and gynecologists has loosened a decades-old restriction on its board-certified members treating male patients, after mounting pressure from doctors and researchers. The American Board of Obstetrics and Gynecology (ABOG) had previously said members could not treat male patients except in specific circumstances, such as circumcising babies, treating transgendered patients, and helping couples overcome infertility. 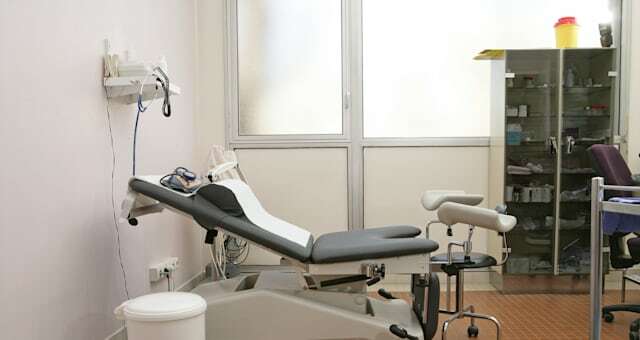 However, opposition had mounted from gynecologists and others who said the policy interfered with medical research and prevented them treating male patients with chronic pelvic pain. Some obstetricians and gynecologists had also been treating men for cancer, problems such as low testosterone, and cosmetic procedures including liposuction. "This change recognizes that in a few rare instances board certified diplomats were being called upon to treat men for certain conditions and to participate in research," Dr. Larry Gilstrap, ABOG's executive director, said in a statement Thursday. "This issue became a distraction from our mission to ensure that women receive high quality and safe health care." The Dallas-based board eliminated requirements that said certified members treat only women and must devote at least 75 percent of their practice to obstetrics and gynecology, saying instead a majority would suffice. The policy change matters because board certification, while not legally mandated, is viewed as a paragon of safety by many hospitals, patients, and insurers. It was intended to protect patients when some gynecologists who were board-certified by the group were practicing in areas outside the board's expertise, such as plastic surgery, ABOG spokesman David Margulies said. First adopted in the 1930s, the policy had been ignored or opposed by doctors in some corners over the years, and the board had built a list of complicated exceptions over the past months, Margulies said. "The whole thing became a distraction from the idea that we are here to certify people, to make sure that they have the training they need," Margulies said. ABOG says on its website it is an independent, non-profit organization that certifies obstetricians and gynecologists in the United States. It examines and certifies more than 1,700 obstetricians and gynecologists and sub-specialists in maternal-fetal medicine, reproductive endocrinology and infertility, gynecologic oncology and female pelvic medicine and reconstructive surgery each year.